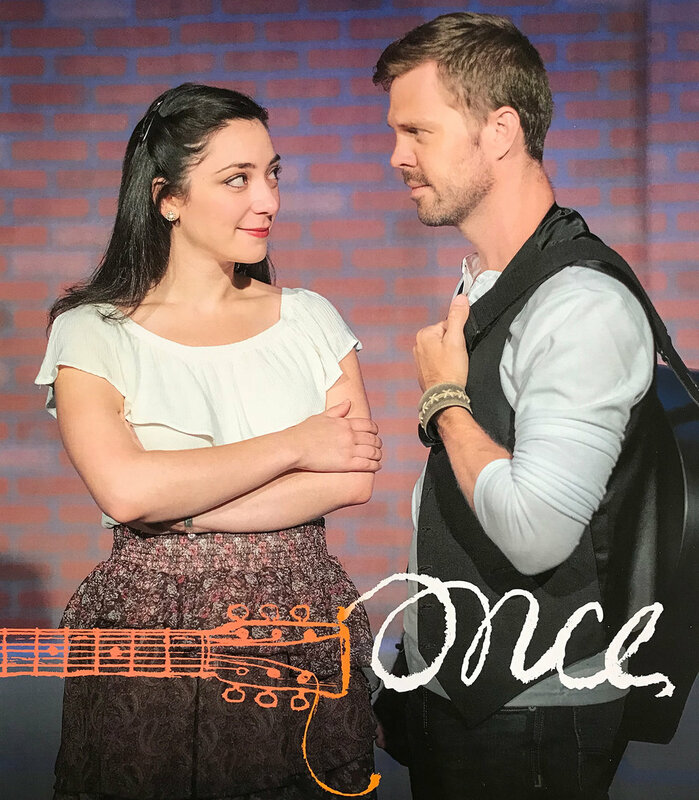 Guy in Once has been at the very top of my all-time list of dream roles since the moment I saw the show on Broadway six years ago. This show is perfection in my mind. I will be forever grateful to Kurt Stamm (artistic director) for giving me the chance to devour this part. And what a company he put together! Any single member of this group would have been the strongest actor-musician I had ever met, and here was a room full of twelve of them! Every day I was both humbled and inspired by their multi-facetted talent, humor, generosity, and openness. And then there's Julie Benko. If you don't know who she is, you will, trust me. An actor could spend his entire career hoping for a scene partner like her. She's 100% committed at every second. She's equal parts hilarious and heart-breaking. She really listens. Her singing voice is devastatingly gorgeous. And yeah, she plays piano like a dream. Living this show through each night with her as my partner was absolute magic. I will never forget my experience in this production for as long as I live! With Mallory Hawks as Mary. And a Chimney Sweep in training. What a joy in was to revisit the role of Bert in the show that gave me my Broadway debut seven years ago! The Lyceum Theatre in Arrow Rock, MO is such a treasure, and I had an absolute blast. The best part was that my boy got to come see his dad perform on stage for the very first time! He was dancing and singing "Step In Time" every day for a month afterwards. Having him in the audience and seeing how much he loved this beautiful show was one of the highlights of my entire life. Check out my cover of "More Than Words" on youtube! Look for me soon on Syfy's HAPPY! After Something Rotten took our final bow on Broadway on January 1st, my son and I packed our bags and hit the road for some much needed family time. We're having an absolute blast touring the country with my incredibly talented wife Dana Winkle, as she performs in the North American Tour of An American In Paris.